Save cash by purchasing a Nebra holiday package. Just select your favourite options and let Expedia take care of the rest. Receive savings of up to 15%* by booking a package deal on Expedia. You won't need to search through different websites to secure your travel bookings. With more than 400 partner airlines and 321,000 properties worldwide, our extensive database has all that you need. About to go on your Nebra holiday? Haven't got a clue what sort of things to include in your travel itinerary? No need to fret — we'll give you some of our top tips. Schloss Burgscheidungen is a maze of historic corridors, halls and rooms. Take a peek, walk across the grounds and try to find out something about this impressive fortification. Still got time to spare? Need a bit of help deciding where to go and what to do? You'll discover the information you're after at Ark of Nebra. 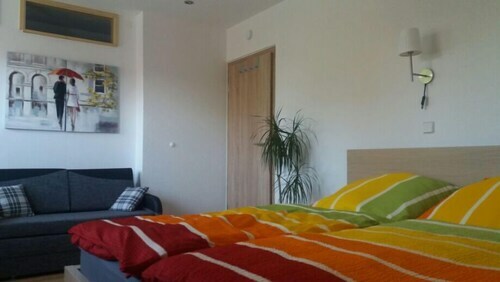 Looking for a place to stay for your luxury getaway or cheap holiday in Nebra? It's sensible to act quickly, as there are only 2 Expedia properties on offer. The Hotel Himmelsscheibe - Nebra (Schlosshof 4-5) and the Hotel Schloss Nebra (Schlosshof 4-5) are held in high regard by vacationers. Preparing for your trip to Nebra? Wondering where you'll be landing? Leipzig - Halle Airport (LEJ) is your most convenient option. Once you've hit the tarmac and wandered out of the gate, you'll be 30 miles (48 km) from the bustle of the main areas. Situated in a rural location, this castle is 1.3 mi (2.2 km) from Ark of Nebra and 7.2 mi (11.6 km) from Modellbahn-Wiehe. Weingut Bernard Pawis and Winzervereinigung Freyburg are also within 20 miles (32 km). Wangen (Unstrut) Station is 6 minutes by foot. 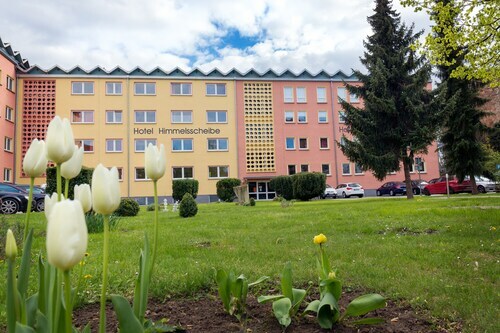 Situated in Nebra (Unstrut), this hotel is 3.1 mi (4.9 km) from Ark of Nebra and within 12 miles (20 km) of Modellbahn-Wiehe and Weingut Bernard Pawis. Winzervereinigung Freyburg and Rotkaeppchen are also within 16 miles (25 km). Nebra Station is 10 minutes by foot. Situated in Nebra (Unstrut), this hotel is 2.7 mi (4.3 km) from Ark of Nebra and within 12 miles (20 km) of Modellbahn-Wiehe and Weingut Bernard Pawis. Winzervereinigung Freyburg and Rotkaeppchen are also within 16 miles (25 km). Nebra Station is 12 minutes by foot. 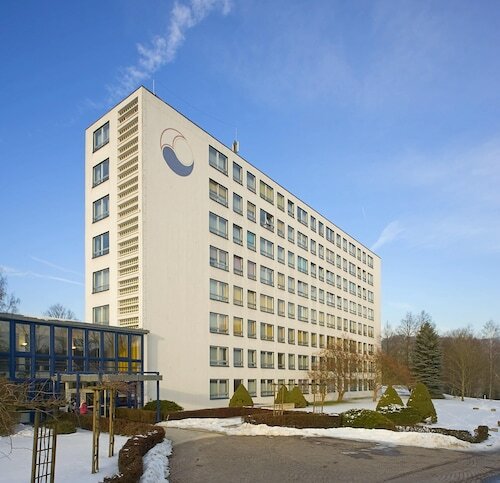 Situated in Nebra (Unstrut), this apartment building is 3.3 mi (5.3 km) from Ark of Nebra and within 12 miles (20 km) of Modellbahn-Wiehe and Weingut Bernard Pawis. Winzervereinigung Freyburg and Rotkaeppchen are also within 16 miles (25 km). Nebra Station is 20 minutes by foot and Reinsdorf (b Nebra) Station is 24 minutes. 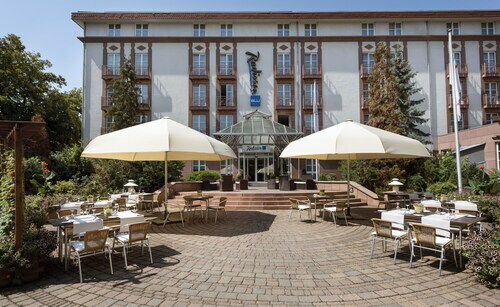 Located in the heart of Merseburg, this luxury hotel is 0.1 mi (0.2 km) from Merseburger Cathedral, and within 9 mi (15 km) of Maya Mare and Nova Eventis Shopping Center. Halloren Chocolate Factory and Franckesche Foundation are also within 12 mi (20 km). Merseburg Station is 11 minutes by foot. 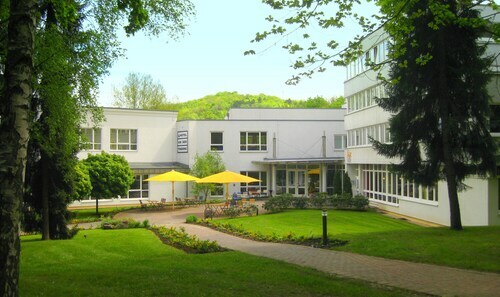 Situated in a rural location, this spa hotel is 0.1 mi (0.2 km) from Toskana Therme, and within 9 mi (15 km) of Rudelsburg and Landesweingut Kloster Pforta. Dornburger Castle and Naumburg Cathedral are also within 12 mi (20 km). Bad Sulza Nord Station is 11 minutes by foot and Bad Sulza Station is 13 minutes. 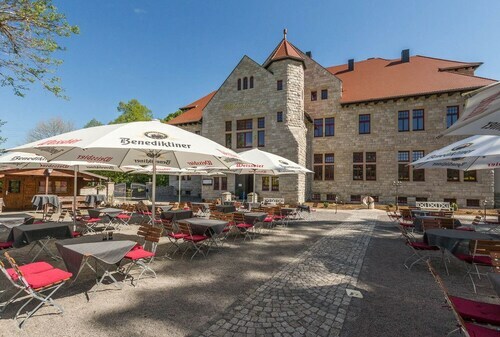 Located in the heart of Merseburg, this hotel is within a 15-minute walk of Merseburger Staendehaus, Merseburger Cathedral and Merseburger Palace. Merseburger Palace Gardens is 0.6 mi (1 km) away. Merseburg Station is 9 minutes by foot. Situated in Bad Sulza, this spa hotel is in the same area as Toskana Therme, Rudelsburg and Tierpark Bad Koesen. 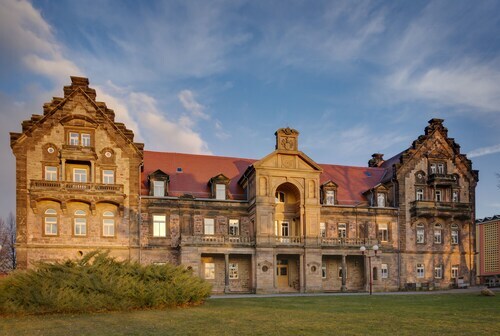 Regional attractions also include Landesweingut Kloster Pforta and Dornburger Castle.